A new bill introduced in the New York State Senate on November 14 would require a review of a person’s social media profile and Internet posting history before they could legally possess a handgun in New York state. Bill S.9191, introduced by New York State Sen. Kevin Parker, D-Brooklyn, comes after a premeditated shooting at a Pittsburgh synagogue on October 27 by a man who specifically targeted the Tree of Life Congregation after leaving a trail of hate speech on Internet forums prior to the shooting. The suspected shooter walked into a synagogue and proceeded to kill 11 people and wound two others. 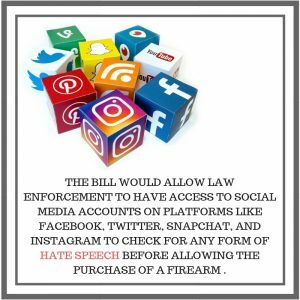 Bill S.9191 would allow law enforcement officers to review up to three years of social media history and one year of search history for anyone purchasing a handgun in New York state. Parker said his bill could potentially save lives by creating another obstacle for potential shooters before they have a chance to commit a crime. “What this bill does is create a dynamic in which we can monitor people’s social media accounts in the case that we are giving them handgun licenses or permits,” Parker said. This shooting was just the latest in more than 140 U.S. shootings in places of worship in the past decade, according to Eric Adams, the borough president of Brooklyn, who is also a former state senator and former New York City cop. He collaborated with Sen. Parker on Bill S.9191 . “If this [legislation] was in place, there would have been a clear indicator of the shooter in the Tree of Life shooting,” Adams said. The bill would allow law enforcement to look into social media accounts on platforms like Facebook, Twitter, Snapchat, and Instagram for the presence of slurs, biased language, or threats concerning religion, sexual orientation, disabilities, national origin, age, ancestry and gender. The bill also specifically mentions search engines such as Google, Yahoo and Bing as those that police would monitor in search of hate speech. Interestingly, the legislation does not specifically mention Gab, the social media site used by Robert Bowers before the Pittsburgh shooting, and it isn’t included in the list of social media sites that law enforcement would monitor. 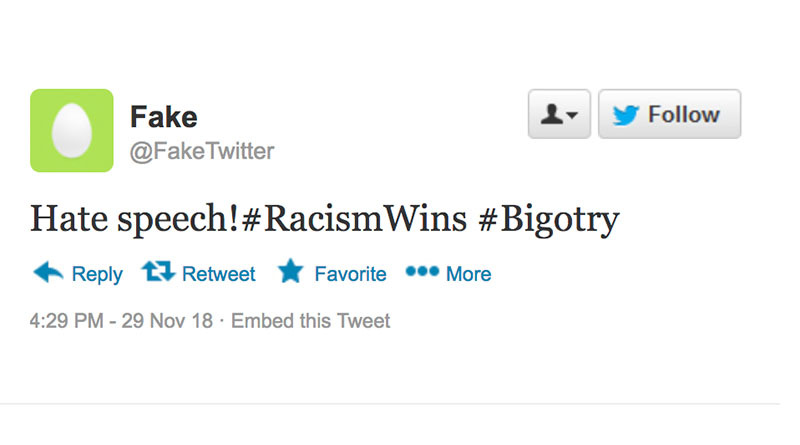 Gab is what the New York Times calls a haven for white nationalists, neo-Nazis and other extremists. Sen. Parker said earlier this month that he plans to introduce a similar bill that would require the same social media scrutiny before a New Yorker can purchase a rifle or shotgun. As of press time, that bill has not been introduced. Bill S.9191 was referred to the Senate Rules Committee on Nov. 14. There is no Assembly version of the bill. The American Civil Liberties Union has yet to comment on the bill.